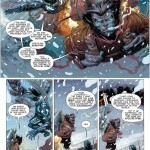 Opinions vary a great deal when it comes to the quality of the mutant books in the Marvel Universe these days. Rick Remender, Jerome Opeña, and Dean White are working together to craft some real drama and excitement in an X book that isn’t X-Men; it’s an X-Force series. The story arc title, Dark Angel, is purposefully misleading. When old school X heads hear Dark Angel they think Dark Phoenix, but this story focuses on Archangel. 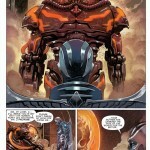 Uncanny X-Force #14 finds the team trying to save Archangel from completely losing his soul to evil. We have some early pages from the issue for you to check out, but be warned there are potential story spoilers in these pages so check out the art at your own risk. 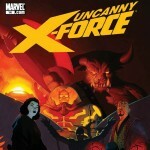 Uncanny X-Force #14 will be released on September 14, 2011.